In The Faraway Nearby, Rebecca Solnit writes: ‘The self is a patchwork of the felt and unfelt, of presences and absences, of navigable channels around the walled-off numbness’. The same might be said of a book of poems. Some years ago my writing journey had run aground on an island of my own making. I was living in a mouldy flat. I’d resigned from a job that had made me ill. A very important relationship had broken down. I was still struggling with my health, fighting a numbness brought on by absences of my own. One Sunday I tuned into a radio programme called ‘Homer’s Landscapes’, written and presented by Adam Nicolson. In it, Nicolson examined the journey Odysseus made to Hades, where he must feed blood, honey and wine to the ghost of Tiresias, in order to restore to him the gift of speech. Only Tiresias can offer Odysseus the directions he needs to complete his homeward journey. According to Nicolson, it is as if the Greeks believed that the body and taste of these things were essential not only to life, but to language too. This is a metaphor for poetry itself – for any attempt to make absences or abstractions concrete. The ghosts need their blood and honey, otherwise they’ll remain silent shadows. This is why I’ve chosen to start my new collection, The Navigators, with a version of this episode of The Odyssey. It acts as a kind of prologue to a book that is full of reconstructions: crowded with personal, historical and mythical ghosts. Marooned on my own journey, I needed to consult with them in order to restore my sense of direction. Some of the poems in this new book predate poems in West North East (Longbarrow Press, 2013), and some of them were written immediately after. One thing that distinguishes them from the poems in my first volume is a broadening of the canvas of time and place. Another is a greater fascination with the flowing element of water, as it moves through both. The collection starts with rain falling in Cumbria. It flows to the South Yorkshire waterways, before arriving at the sea and another scene in another navigational myth from Ancient Greece. The collection begins with poems born out of a writing residency at Wordsworth’s Dove Cottage. The first drafts were written some 13 years ago. They’ve been re-drafted many times since – the form just eluding me, until I started experimenting with free and open forms in 2014. I’ve taken a long time to discover what many poets start with. This sequence chiefly maps my relationship with the landscape, with creatures, and with my companion of that time, C. Cumbria was the glue that held C and me together, and our relationship struggled after we left. It was as if we couldn’t agree on a landscape we wanted to share – and so we retreated separately to places closer to our origins. The poems in Trig Points also triangulate mental journeys between past, present and projected future. C and I lacked a shared vison of the future, but this doesn’t stop the heart wanting to look back at a loved person and a loved place, trying to find embers to carry forward. Time is a cold landscape without these embers. The frame of this section of the book is also haunted by myth and history. There is a recent adaptation of passages from Aristophanes’ The Birds, and a sequence that touches on events in Kosovo. Many Kosovan refugees settled in Cumbria, and if I go beyond my right to speak of such subjects, I do so in order to remind myself that no idyll is unvisited by voices from worlds outside it. I thought this each time a military jet passed over the Cumbrian sky. In 2009 I received a commission to write poems about the history of the South Yorkshire waterways. I’m no stranger to canals. My grandfather had built a canal boat after he retired, and many holidays in my childhood were spent on his cabin-cruiser, navigating the Leeds-Liverpool canal. The commission resulted in some historical monologues in the voices of navvies and boatmen, as well as personal reminiscences of time on my grandfather’s boat. 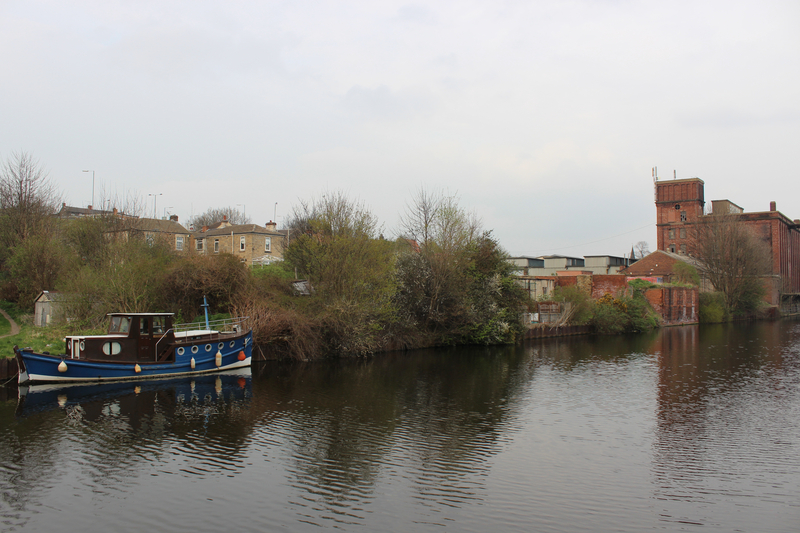 In 2013 I moved to Mexborough, in South Yorkshire, and found myself 5 minutes from the canal. There, I navigated the waterways as they are now. On one stretch of the canal, a number of houses back onto the water. From the street, they look like ordinary semis or terraces, but from the canal bank they appear more exotic – the domestic waterfronts decorated with bunting, statues of herons, and with little huts and fishing platforms. Some homes even have boats. There is something exciting, for me, about having a boat at the bottom of the garden. I suppose it is possible to look at the motorcar as Everyman’s Argo, parked in the driveway or the street outside every home. But it doesn’t work for me. There’s something special about a boat – about stepping off land and onto a craft that navigates another element. Any waterway has a mystery that a road can’t achieve. When I think of my time on my grandfather’s boat, I realise my experiences were a growth. It’s more poignant now because I understand how important that new adventure was at the end of my grandparents’ lives. Parts of my coming of age and their retirement coincided on the waterways. The canals will always lead back to my history, and to theirs. And they lead back to history with a capital H (or even a dropped one). In ‘Reference Back’, Philip Larkin said that ‘though our element is time, / We are not suited to the long perspectives / Open at each instant of our lives.’ All through my life, long perspectives have opened in coastal landscapes. I’ve returned to the sea for reflection and regeneration, and the poems I’ve set there are epiphanies that hatch on literal and metaphorical thresholds. This final section explores key moments in three romantic relationships. I’ve questioned whether there might be something insensitive about placing love poems for three women in such proximity. However, I am interested in the drama of the human heart in time. 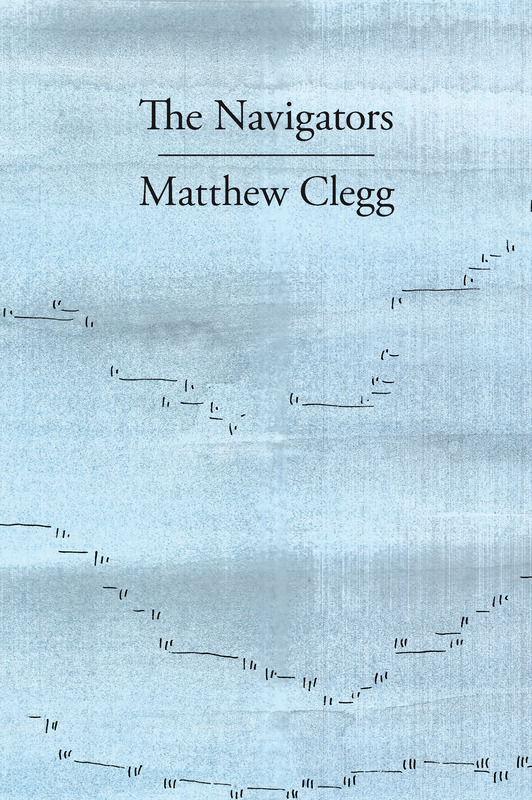 This is supposed to be one of the things the compass of poetry helps us navigate – look at poems from Gilgamesh to Hardy’s Poems of 1912-13 to Hughes’ Birthday Letters. In this final section I try to construct my own compass. The denouement is a sequence that explores Proustian memories of Flamborough Head, where I attempt to fuse mythical, personal and historical threads in one fugue-like movement. It culminates with a glimpse of the Greek god of sea-changes, Proteus. This is channelled through a photo taken by my partner, Ruth. I use it as a talisman to return me to a present that is never-ending, and always in the wind. The marooned sailor uses it to find a way home, if home is the seat of our affections, or the starting point for all new expeditions. The book doesn’t quite end there. I’ve chosen to exit with another mythical scene. This time it’s a night before Jason and his Argonauts embark on their journey. Jason is losing his nerve. Two of the crew have fallen into bitter dispute. It’s almost come to blows, when Orpheus enchants everyone with a song about our elemental origins. The Argonauts carry the song in their hearts long after the music stops, and even into their sleep and dreams. This seemed like the perfect note upon which to suspend my poetic navigations. It’s often said that time is problematic in the human mind. We displace the present into the past, or project it into the future. DH Lawrence wrote about his desire to pioneer a poetry of the present – something that eluded even Orpheus in the end, perhaps. Events later in his life led Orpheus to regret the backward look. In another version of his myth, after his dismemberment by the Maenads, his decapitated head is left to float on the river Hebrus – still singing – until it reaches the Mediterranean shore. As Ezra Pound says in ‘Exile’s Letter’, ‘there is no end of things in the heart.’ This book places my stones on the cairn of that idea. The title of this essay (‘Feeding the dead is necessary’) is taken from W.S. Graham’s long poem ‘Implements in Their Places’ (available in his New Collected Poems, Faber, 2004).